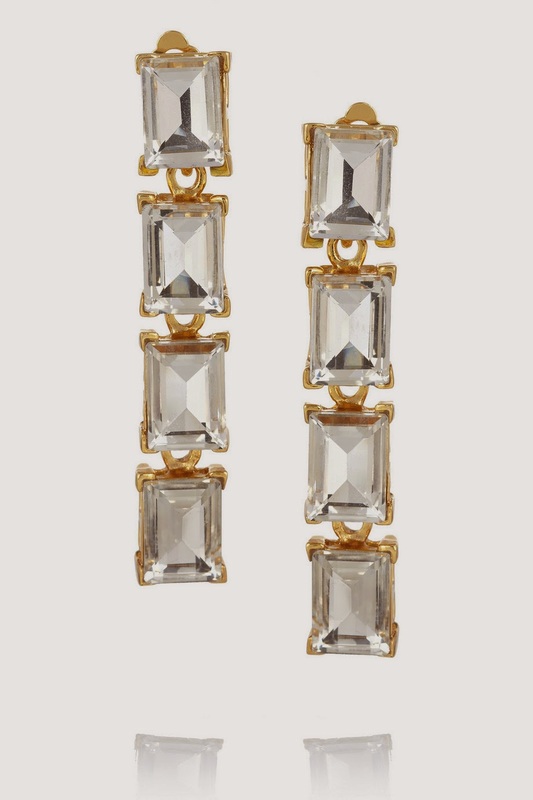 I've had my eye on Kenneth Jay Lane's gold plated glass crystal drop earrings (I stepped away from my beloved silver for a change) for a while and treated myself last week as The Outnet's famous clearance sale went live. I like big statement earrings, but I can't handle heavy weights on my ears, so these are clip-ons. I feel about seven again, only a little bit chicer... Did you pick up anything in the 85% off sale?